LONDON has tried hard to ensure the 2012 Olympics have an appropriate legacy, which includes maintaining the Olympic Stadium as an ongoing concern. West Ham United secured the site and left their Boleyn Ground at the end of 2015-16 for a new beginning. 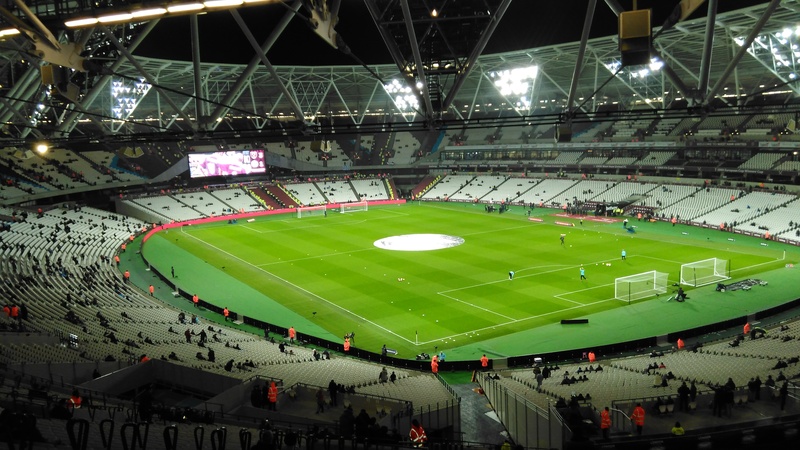 Opinion was divided about the three-mile move to Stratford, but some people believed that the new home would provide the Hammers with the catalyst to step-up and become a genuine European club that could challenge for honours. It hasn’t quite worked-out as planned. True, West Ham sold 53,000 season tickets for the renamed London Stadium and they kept prices reasonable in the process. It looked promising as the club’s last season in Upton Park, saw West Ham finish seventh in the Premier League. Moreover, the signing of Dimitri Payet, for £10m from Marseille, was a big success and the Frenchmen scored nine goals in 30 Premier League games. West Ham seemed to have stumbled across a decent team just as they moved to a new stadium – and they had European football to look forward to. But the Europa League campaign ended before the end of August, the Hammers going out cheaply to Astra Giurgiu of Romania. And in the league, West Ham didn’t start well, losing five of their first six games. At home, where West Ham lost just three league games in 2015-16, Slaven Bilic’s team have already been beaten four times at the London Stadium. Furthermore, after being heralded as a hero last season, Bilic has frequently come under pressure in the media this term. Somehow, despite spending £30m-plus, West Ham’s resurgence is rapidly looking like a one-off. And the fans are not happy. West Ham have had crowd trouble this season and it has been very graphically portrayed in the press. They don’t like their stadium and some suggest the team’s under-performance is partly due to their unsatisfactory new manor. Surely, though, it is just a question of adjusting to new surroundings? West Ham have a 99-year lease, so they are going to have to persevere with the London Stadium. It may take some time, for the mood among many West Ham fans is very negative. It could all be very different if the team was performing as well as 2015-16, but given the results and the facts that some fans are mourning the loss of their spiritual home, the club’s management not only face the growing hostility of the supporters, but also the prospect of declining interest in 2017-18. Game of the People decided to savour the London Stadium experience (it could almost be the name of a tourist attraction) for the West Ham United versus Manchester City FA Cup third round tie. 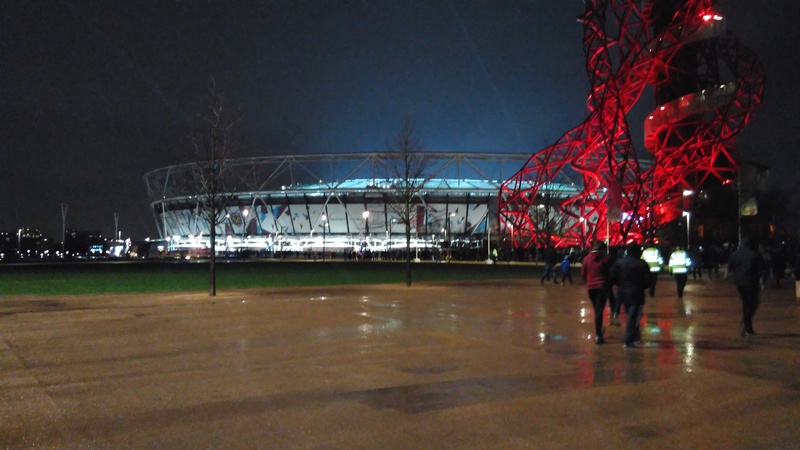 Having been to the stadium for the 2012 Olympics and enjoying the buzz and spectacle of London 2012, I was expecting to strengthen my opinion that the move to Stratford was a good one for West Ham. I came away almost agreeing with the doubters that the London Stadium was not the best transaction the Hammers have been involved in. Why was that? Firstly, it is not a good ground for football. In the gods, you are too far from the action. It reminded me of the sense of detachment you felt at the old Wembley. West Ham and City were out there somewhere, small figures dashing around. Secondly, there is no atmosphere at all. True, the Hammers’ anthem of “I’m forever blowing bubbles” was well received, but once that was out of the way, the crowd was quiet, or at least, you couldn’t hear anything in the upper deck. Whether it was because of the position of the away fans, or just that the distance from the pitch means that it is difficult to follow the action, there seems to be a delayed reaction to goals being scored. In fact, when City netted their fourth and fifth goals, somebody close by, who was busy talking his way through the game, was almost startled when he realised, “apparently, City have just scored again.” There were 9,000 City fans at the game but you could not really hear them at the opposite end of the ground. As for the game, West Ham were pretty dire – just two shots of note. City, once they got control, were streets ahead of them and strolled to victory. You only had to see the team line-up before kick-off to know that manager Pep Guardiola was serious about the FA Cup. He fielded John Stones (£47.5m), Yaya Toure (£24m), Raheem Sterling (£44m), Kevin De Bruyne (£55m), David Silva and Sergio Agüero (£38m). West Ham, who had lost a few days earlier to City’s neighbours, United, didn’t stand too much chance. It took a debatable penalty to set City on their way, Pablo Zabaletto falling in the area after a slight challenge by Angelo Ogbonna. Yaya Toure, who had an excellent game, scored from the spot after 33 minutes. A second goal came after 41, an own goal by Havard Nordtveit following good work by Bacary Sagna down the flank. Two minutes on, Sterling set-up David Silva to start sending West Ham fans towards the exit. Some came back after the interval, but big white gaps started appearing in the stands as a constant stream of people left the stadium. City made it 4-0 after 50 minutes when Agüero touched home a shot by Toure. Five minutes from the end, John Stones headed a fifth to inflict upon West Ham their worst home defeat in the FA Cup. Back to Stratford International for a six-minute journey to London St. Pancras. Or so we thought. After trudging through the misty rain and being directed in the direction of the station, we arrived to find it was closed “due to unforeseen circumstances”. “Up the escalators,” said the man with the loud-hailer, “and turn left inside Westfield”. Of course, in modern Britain, nothing much works properly – the escalators were also out of action – due to unforeseen circumstances. Unfortunately, West Ham’s capitulation was easily foretold. What lies ahead for West Ham and their new home. It will take time to build an atmosphere, but it is a steep task, as steep as the top deck of the London Stadium. They have no choice but to slug it out. But at the same time, they need to ensure they don’t get dragged into a relegation fight. They sold 53,000 season tickets in this inaugural season at Stratford. One wonders how many will be sold for 2017-18. Previous Entry Gates down – is European football losing its edge?